As I received for a second year in a row from Diageo to attend to the launch of the Special Releases and my time schedule allowing, I decided to join the event this year, after checking the prices for flights and accommodations. 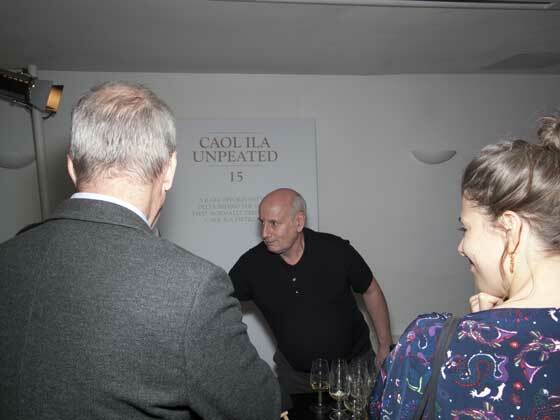 The motivation was only to taste the new Special Releases 2018, but also to talk to the brand ambassadors, master blenders and distillery managers. They are seldom present at whisky fairs, and if they are, talking to them is a tremendous challenge. In particular, I was curious to know 1) what is happening now with the Brora and Port Ellen Annual releases, as it was reported they would be released outside of the Special Releases and 2) to get some clarifications on the pricing strategy, with the Oban 21 YO priced markedly higher than the older Pittyvaich, 28 YO from a lost distillery. With that, it was time to join the event. As a disclaimer, all impressions reported here are the ones made during the evening in non-standard conditions. I hope I will be fortunate to obtain samples for a tasting in standard conditions. I also received no financial support for my travel or accommodations. 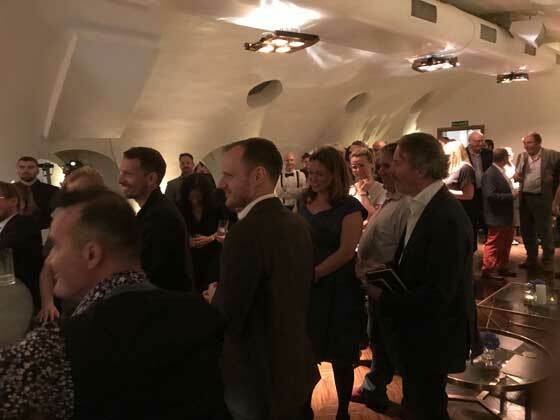 The event took place at the Strand in London, not far from Covent Garden in a nice old historic house, with a main hall with a bar and two rooms, one for the unpeated and one for the peated one. The atmosphere was cosy, with nice displays for each bottling. On each table was one bottling with one personality of Diageo. My first whisky was one of my favourite of the night, from the lost distillery of Carsebridge. 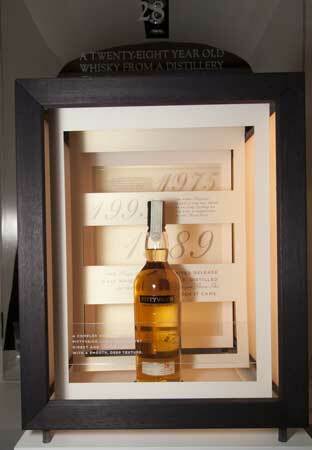 Matured for 48 years in ex-American oak casks, the nose was very sweet and mellow and with an abundance of peach. On the palate it remained mellow, with nice peppery and spicy flavours and lots of sweet fruits, such as peach and guava. The finish was rather long, slightly spicy and nice sweet fruity flavours (mainly peach). Diluted, it became sweeter and slightly grassy. 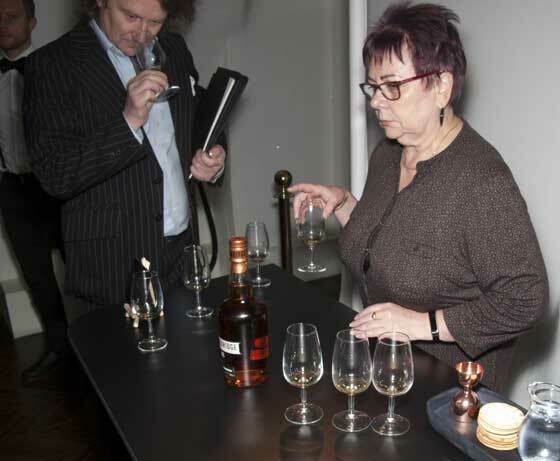 As it was rather noisy, I returned later to that stand to discuss more with Maureen Robinson, the Master Blender. She is the one doing the initial cask selection for the Special Releases 2018. The process takes about 1 year and they start by going through the inventory, asking for samples, selecting the casks and then working on the marrying of the different casks. 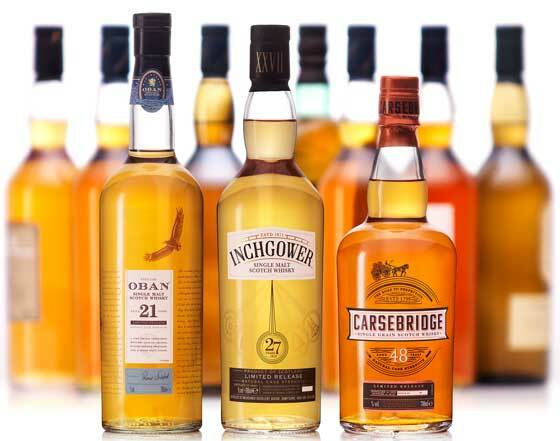 As they want to make something special for the Special Releases, they look for special casks, either age-wise or cask wise, e.g., by selected very old casks of Caol Ila or using double matured casks of Glen Ord mixed with experimental casks that they used for studying the effect of maturation, as this was done with the Singleton of Glen Ord 14 YO. Maureen Robinson and the Carsebridge 48 YO. 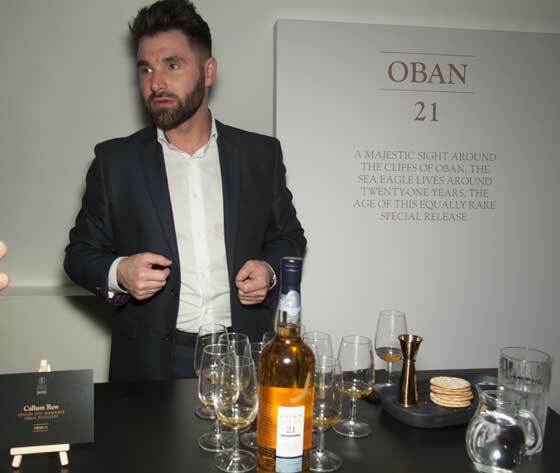 I moved next to the Oban 21 YO and Callum Rew, the Oban distillery manager. This is the first Oban Special Release matured in ex-European casks. While the previous bottling was a rather light and slightly mellow expression of Oban, this one is clearly different. The aromatic intensity is very high, rather spicy, with a strong coastal and salty influence. Powerful. On the palate, it was intense, spicy to very spicy, peppery, with some sultanas, toffee and citrus. The finish was long and on the same flavours. I had always a soft spot for Oban and this one was indeed very good. However, the price tag is rather hefty (RRP of £450), and reflects probably the brand of Oban and the rarity of ex-European casks. Talking with an employee from Diageo, Special Releases are selling very well and the demand for these products is high. Thus, the RRP are a reflection of the demand and compared to some other brands, prices for the Special Releases are fair. Going back the liquid, my third dram was the Pittyvaich 28 YO. I enjoyed very much the freshness of the previous and younger expression of Pittyvaich, with a comparable freshness and maltiness. On the palate, it was smooth, mellow, slightly spicy and grassy, with some honey and fresh lemon. A slightly mellower version than the previous, slightly more complex as well. I enjoyed it very much. A good value whisky from that lost distillery. Would be curious to taste a sherry matured expression of this whisky of a comparable age. The Inchgower 27 YO had a fresh, coastal and rather salty nose, with some ginger and tangerine zest. On the palate, the flavours were similar, but more floral and on vanilla. Diluted, it became even more floral. The finish was medium, floral to very floral, salty, with vanilla, ginger, melon and honey. A good one, with the salty character from that distillery. My last dram in the room was the Singleton of Glen ord. 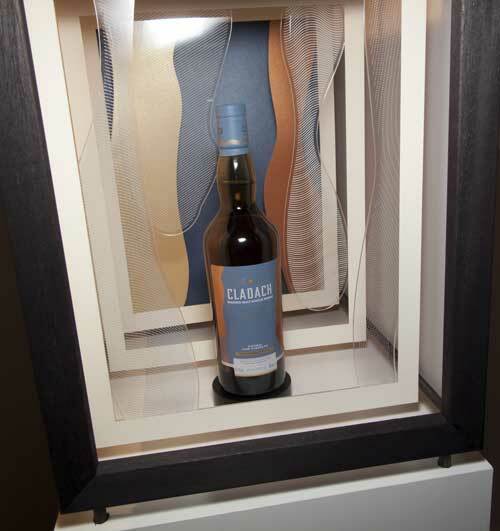 Matured in 5 different wood types (including American and European Oak, PX and Moscatel casks). The nose was rather typical for that distillery, smooth, slightly spicy and floral, on vanilla, apples, some sultanas and light winey flavours. On the palate, the influence of the different woods was markedly more pronounced, with as it was round, sweet, malty, sultanas, grapes and a hint of smoke. The finish was medium, sweet, moderately spicy and smoky, on grapes, sultanas and some Demerara sugar. A very pleasant expression of Glen Ord, with the combination of cask contributing to a sweet and winey influence. In the second room, I started with the Cladach, a blended malt from Caol Ila, Clynelish, Lagavulin, Oban and Talisker, with a mixture of American and European Oak. On the nose, it was peaty to very peaty, smooth, slightly young and with some sea brine. On the palate, it was less peaty, and the fresh waxy and malty flavours dominating. The peat was moderate and was accompanied by some honey, melon and vanilla flavours. The finish was medium, sweet, waxy, and rather fruity, with some sultanas, wax and bitter orange. 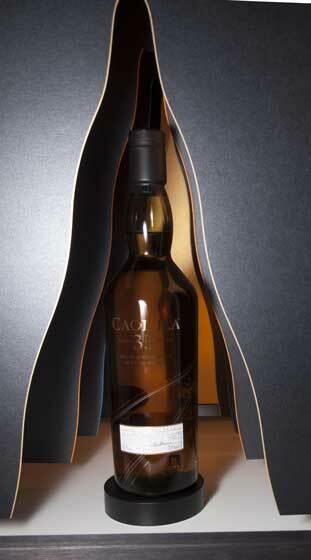 It is a nice whisky, with a mixture of young and older casks. It is a good one, although it is not overly complex. The heart of this blended malt is Clynelish. Moving through the stands again and talking with the different Diageo personalities, I suddenly realised I missed one whisky: The Lagavulin 12 YO. A version close to the previous one, very smoky, intense, oaky, but maybe with slightly more pears and juicy fruits. A whisky that never disappointed me. This one is no exception. It was a very nice experience and a rare opportunity of meeting several distillery managers and blenders. I enjoyed that part very much, although it would have appreciated a slightly quieter place. The ambiance was good, relaxed and the quality of the whiskies was very good. 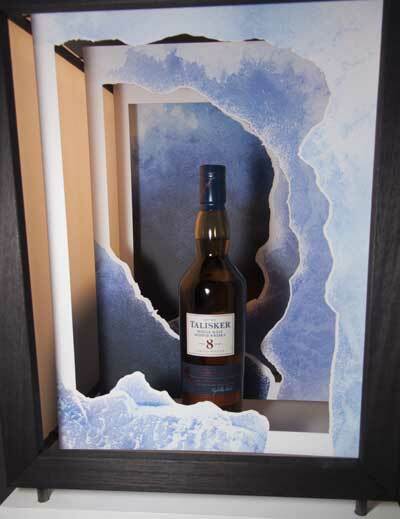 The new Diageo Games of Throne selection is to come soon, with the set to be worth about £350 (to be confirmed). Regarding the Brora and the Port Ellen, no information could be gathered concerning the release date, either by talking to Story PR or Diageo representative.